Access Scioto County (ASC) is the public transit system for Scioto County, Ohio. Our service is curb-to-curb with door-to-door service available on request. ASC is open to the public Monday through Friday from 6:00 a.m. to 6:00 p.m. and available to anyone in Scioto County and South Shore, KY.
Access Scioto County your connection to the Go Bus! 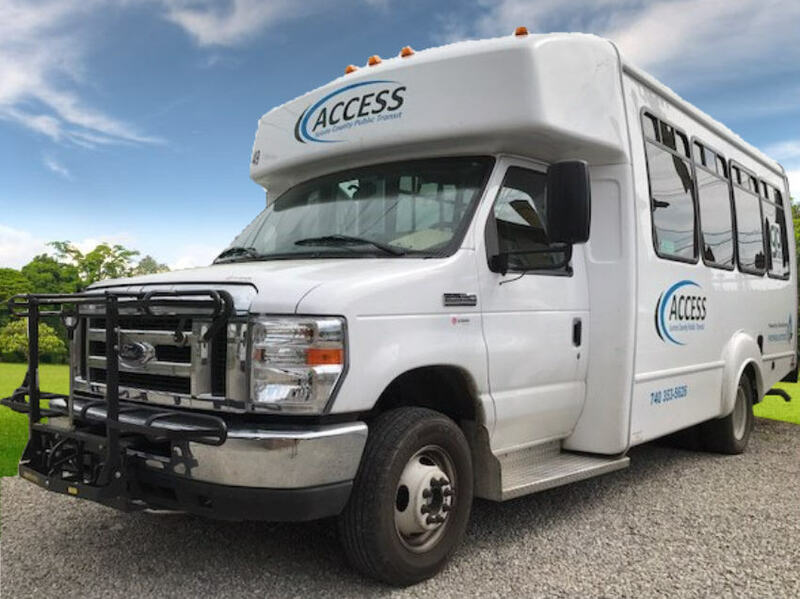 ASC offers connector service to Go Bus, which enables those in Scioto County the opportunity to travel throughout the state, region, and nationally. For more information contact us at 740-353-5626, ext. 203. ​​For more information on Go Bus click on the Go Bus logo or to find out how our connector service works​ click here. ASC Buses use cleaner burning and affordable propane fuel. Using propane reduces greenhouse gases up to 25%, and up to 60% less carbon monoxide than gasoline powered vehicles. Propane is 100% American made and abundant. ASC uses Arrick's Propane of Lucasville, Ohio as our propane provider, with all the propane coming from the Mark West plant in South Shore, KY. Since converting our fleet to propane starting in 2012, ASC has saved thousands of dollars in fuel cost, making better use of the tax payers' money to operate ASC. We want to hear from you! If you have a compliment, suggestion, or complaint please fill out a comment form. ​please click here to view our compliant policy.